Originally posted November 2013. Chilamate, Costa Rica – Our first stop in Costa Rica is Chilamate, located on the Sarapiqui River in the country’s Northern Lowlands, a rainforest-covered region that was in danger of being completely converted to banana and pineapple plantations. With the growth of ecotourism, there is an increasing awareness of the inherent value of the forest for itself, and now there are more and more people letting their land return to its natural state. 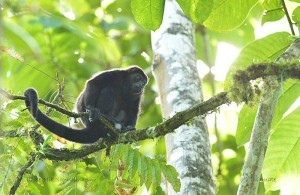 The Chilmate Rainforest Eco Retreat is one example of that. It’s a sweet family-run place with a handful of cabanas, a private reserve and an incredible commitment to community involvement. We discovered this place last year, when we stopped by for lunch after taking a river cruise. We liked it so much, we decided to come back this year for a week! This region is a little bit off the beaten tourist track, although the river has long been popular among thrill-seeking river rafters and kayakers. But the surprise to me is that the wildlife is also amazing. And here at the lodge, it lives right outside our door. 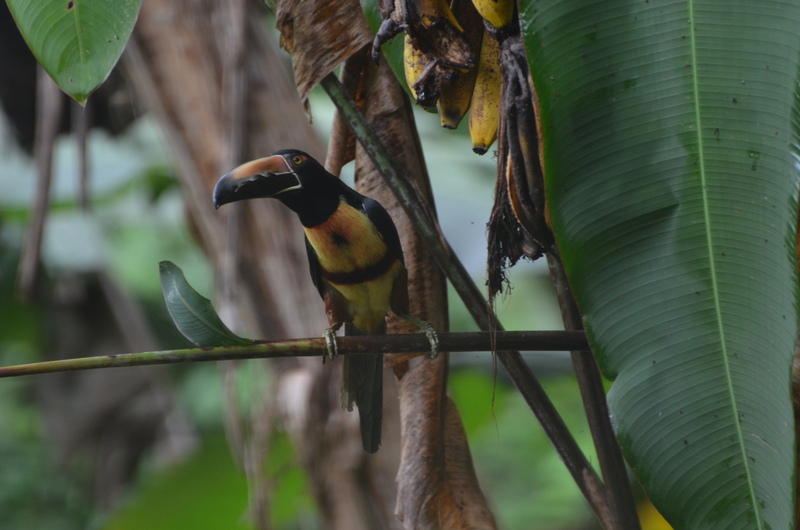 Daddio and I have been birding from our balcony since we arrived, and every day we see toucans, trogans and tanagers galore. While the twins do not love bird-watching, they do pay attention when the birds are big and colorful and right in front of our faces. The howler monkeys wake us up in the morning. 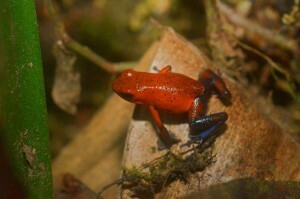 The boys search for (and find) poison-dart frogs in the leaves. 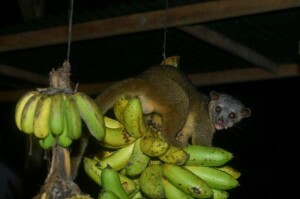 And when we come down for dinner, sometimes there is a kinkajou stealing bananas from the stash. This is the kind of wildlife interaction that I came to Costa Rica for. 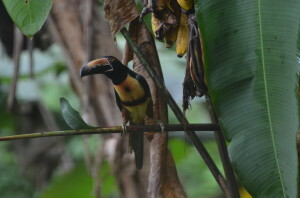 And we didn’t have to trek across the Osa Peninsula to see it. Heck, we didn’t even have to go to the Osa Peninsula to see it. We just had to come to the Northern Lowlands and sit out on our balcony and let the birds and animals come to us. So easy even a three-year-old could do it. We had the great fortune to stay at Chilamate at the same time as Nick Ullmann, the very talented photographer who provided most of these pictures. Check out more of his work at FotoNatur.